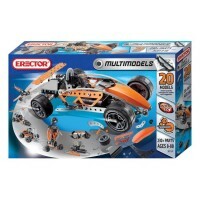 Build a race car, motor cycle, and more with this advanced Erector 6 Models Plastic Building Set. 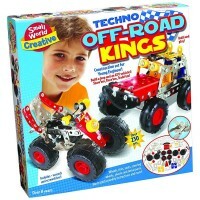 Build your own moveable vehicles, all with the help of one cool toolbox! 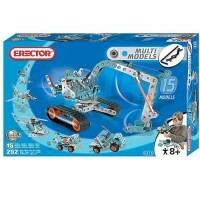 The Erector Advanced Toolbox - 6 Models Plastic Building Set is an awesome construction set designed for the smallest hands. 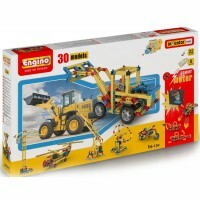 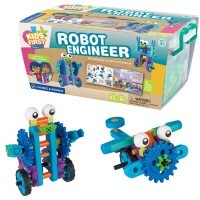 Educational Toys Planet offers this unique building kit as a great way to introduce your child to early engineering skills and cause-and-effect planning, while encouraging fine motor development and dexterity. 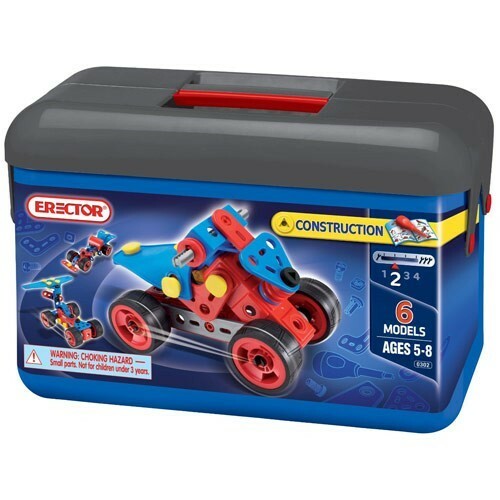 Erector's Erector Advanced Toolbox - 6 Models Plastic Building Set includes over 50 durable, flexible plastic parts that create 6 models. 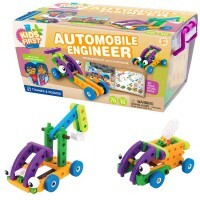 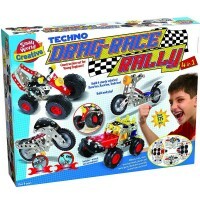 Build a race car, motor cycle, and more! 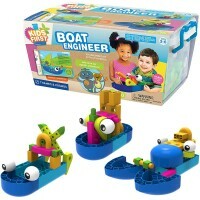 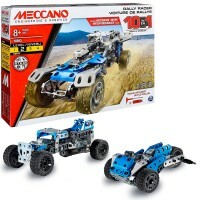 Even the youngest school-age children will be able to build amazing things with this exciting set. 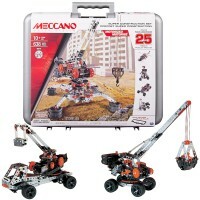 Dimensions of package 0.065" x 0.12" x 0.0775"
Write your own review of Erector Advanced Toolbox - 6 Models Plastic Building Set.